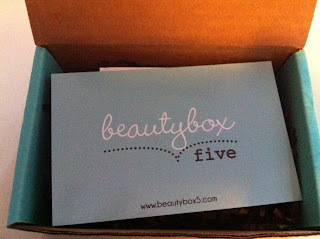 While searching online for boxes to review I came across this one...Beauty Box Five. 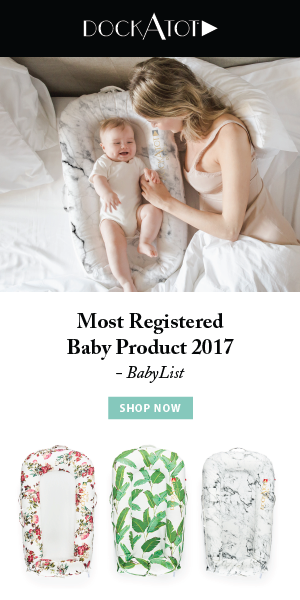 It is similar to birch box, you get 4-5 samples a month for 12.00 a month. I think I was mostly intrigued by the color and writing of the box. I think it's adorable! Here is my first look! The card it came with was very informative. 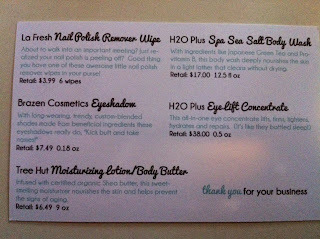 All products are listed and they even put the retail value on the card, which is nice in case you do fall in love with a product. 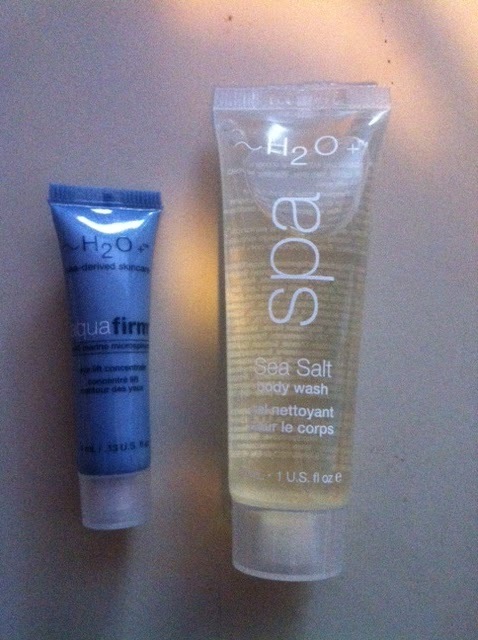 The products in the box were really nice. I have to say I wasn't sure what to expect. The first item I took out of the box was this nice Moisturizing lotion/Body butter by Tree Hut. I used it after I did the dishes, and it smells and works great. 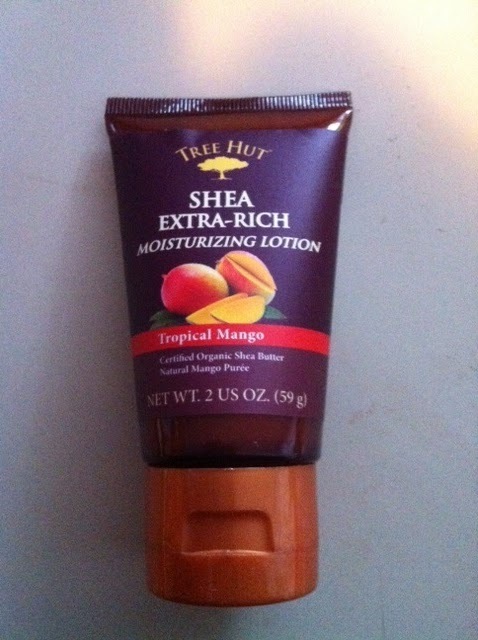 A 9 oz bottle retails for 6.49, so its definitely affordable! 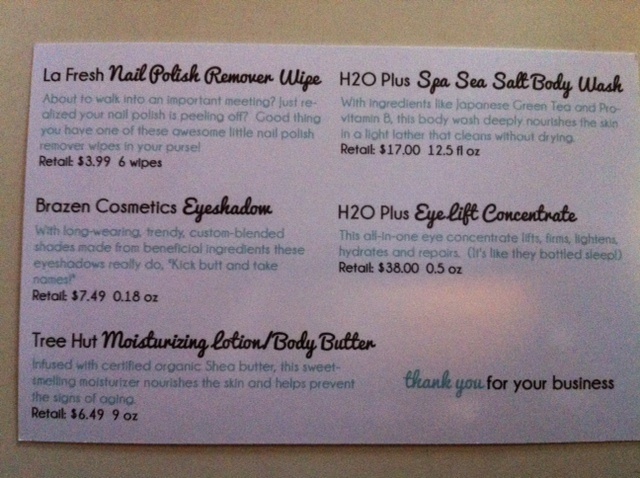 Last was the Brazen Cosmetics Eyeshadow (7.49 for an .18 oz jar,) and La Fresh Nail Polish Remover Wipes(3.99 for 6 wipes.) The eye shadow is in a cute little sample jar, and I will use this for sure. 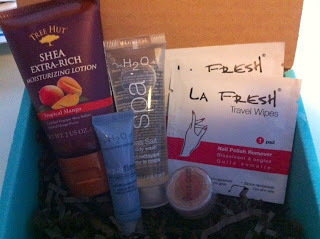 The product I was most excited about was the La Fresh Nail Polish Remover. When I got married I gave all the girls in my wedding party little bags with their names on them with goodies inside. Most of the goodies were La Fresh Products. I actually still have some because I have way too many and I use them and they work wonderful! I love that you can just stick them in your purse and go!